Michele Fisher is co-owner of Always There Pet Care, a business that provides everything from pet-sitting to dog training to photography, located at 7143 Shreve Road, Falls Church, VA 22043. 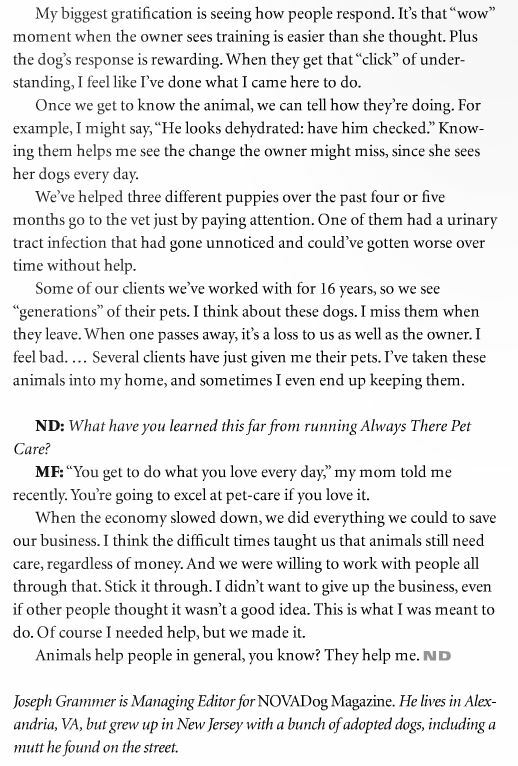 Michele Fisher, owner of Always There Pet Care and Certified Dog Trainer is quoted in a recent NOVA Dog Magazine article. We love to spoil our pets, and today’s pet industry is making it easier and more fun to do so. Just search for “dog toys” on Amazon.com and you’ll find over 42,000 options.